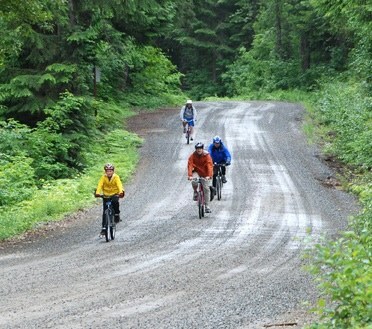 Enjoy a beautiful summer weekend hiking, biking and relaxing with your family at Meany Lodge. Enjoy hiking, biking, geo-cashing or scavenger hunting during our Meany Lodge Family Weekend July 25-27th. Numerous fun-filled activities are available right out the front door or a short trip away within the Stampede and Snoqualmie Pass areas. Come up Friday evening or Saturday morning. You have the option of tent camping close to the lodge facilities or sleeping right in the lodge. We have a prepared dinner planned with child friendly options. Wake up and enjoy a fantastic breakfast then create your own lunch from a variety of options. Hike and bike trips will be offered both Saturday and Sunday. Discover more information and sign up.